Beauty Redefined. Powered by Blogger. Color Studio Professional debuts the Pure Matt Moisturizing Lipsticks perfect for the summer, off-the-runway fashion season. The range boosts all the nourishment of a moisturizing lipstick in 28 versatile matt shades, ideal for recreating runway looks both day and night. The high-performance lipstick formula is fused with a blend of Bamboo Extract, Shea Butter and Vitamin E. The unique Shea Butter moisture complex provides a creamy, non-drying, long-lasting color to indulge the lips. The velvety-smooth texture enriched with Bamboo Extract provides an emollient and soothing action to protect and hydrate the lips. Vitamin E eases the application of the lipstick by providing anti-aging and anti radical action for smooth and supple lips. Available in twenty-eight shades for high-impact color infused with a delicate vanilla scent. Go for the perfect statement lip-look with an array of fashion-forward hues. 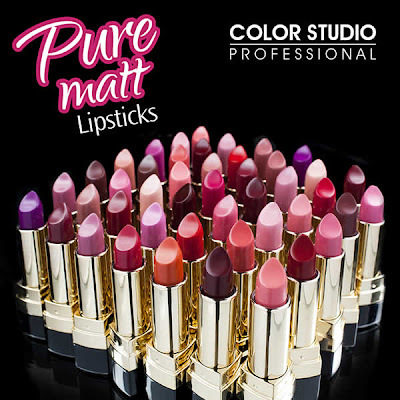 I was actually looking for Color Rush Lipstick - Tease Me and had no intentions to buy the matt one but Tease me was out of stock. 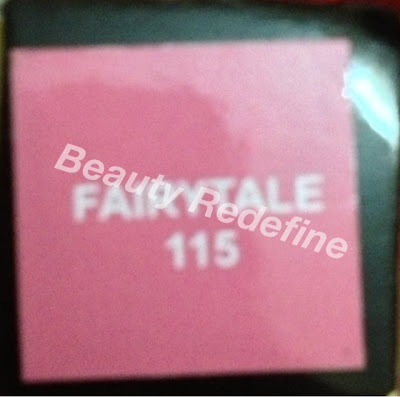 So, i decided to buy Shade # 115 FairyTale. its a light cotton candy pink. The formula contains Bamboo Extract, Shea Butter and Vitamin E. it does not dry my lips as much as I expected. 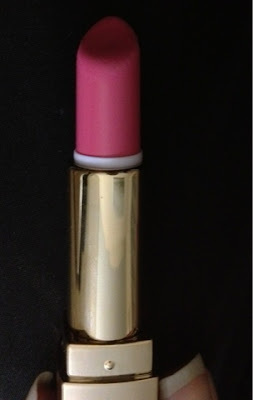 I also suggest exfoliating your lips before applying this lipstick as it enhance fine lines on the lips. The shade is highly pigmented but still one coat is not enough you have to swipe it twice or thrice and you have to make efforts to give it a smooth look. I would recommend applying Vaseline or lip balm before application. Also, it leaves patches when I press my lips together. 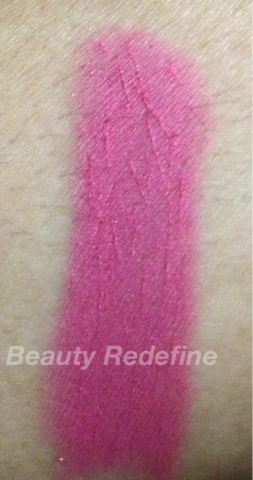 so, to deal with patches issue, I dab some powder on my lipstick and again apply one coat. it helps that way !! 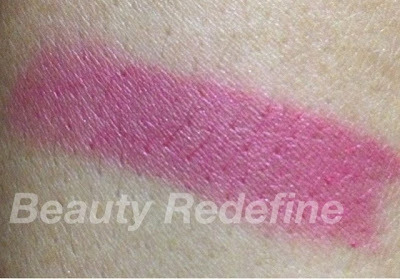 Like other matt lipsticks it last for good 4 to 5 hours and after that it starts fading .It leaves a tint on lips upon fading which I personally don't mind. it looks as if i am wearing lip stain. Moreover it smells like vanilla, which is something i love about it. Overall, i like this lipstick. But the only flip side is that it leaves patches. I would love ot try other shades also. The lipstick is available on all supermarkets nation wide and cost 750 PKR/- i bought mine from Naheed super market. Have you tried any lipstick from this new matte range? Share your opinions and views with me by dropping in your comments. I appreciate and love reading your feedback. I always reply to comments as soon as possible so do check back in case you have any queries.